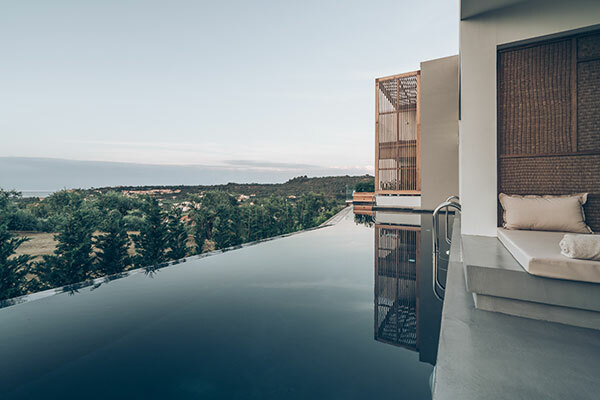 Each Zante Maris suite is your own exclusive, organic universe, complete with olive trees, running waters and stunning views. The end result feels private, but not isolated — as the paved pathways, shared pools and vast sun decks create the impression of living in a tropical village. Luxurious lounge areas complete this serene picture. The Deluxe Suite is a great option if you want to feel like you’re on your own island, surrounded by water no matter where you look. 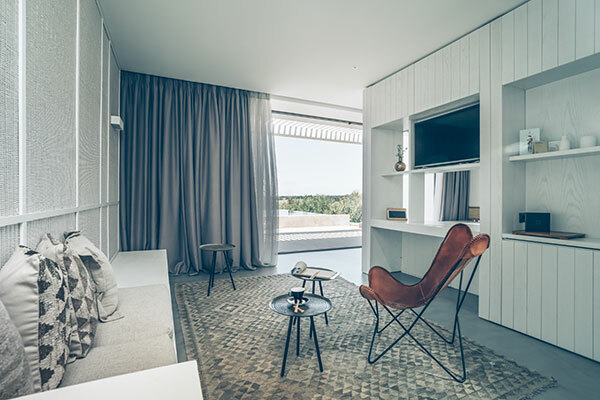 Located on the first floor, the suite offers panoramic views to the spectacular sea of Zakynthos. 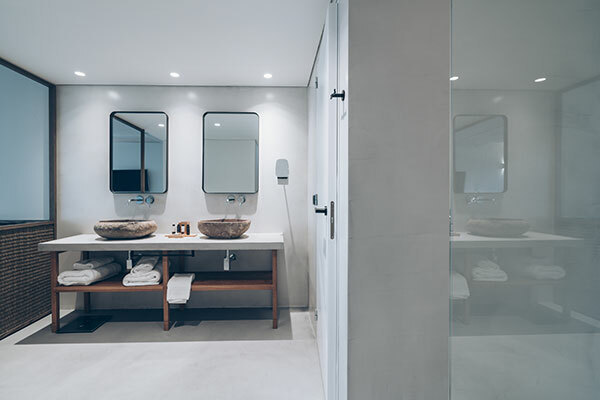 The minimal, contemporary design focuses on comfort, with a fluffy mattress promising endless hours of perfect relaxation. The Junior Suite is a great option if you’re yearning for a bird’s eye view of the magnificent scenery. 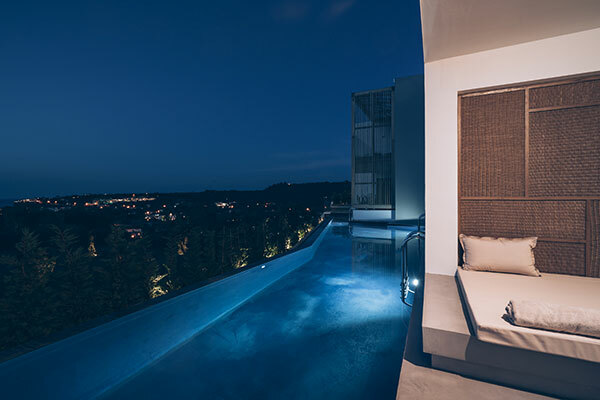 Located on the first floor, this suite offers great views to the spectacular nature of Zakynthos. 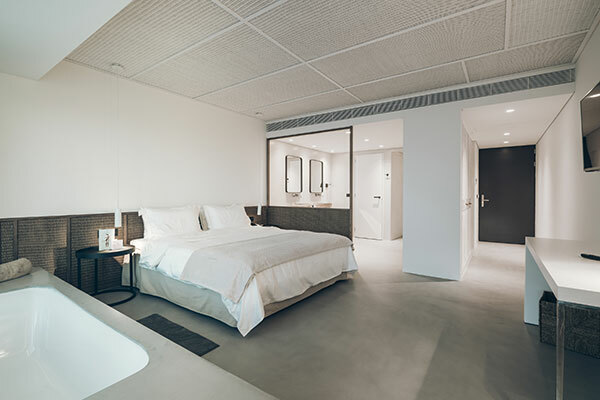 The minimal, contemporary design focuses on comfort, with a fluffy mattress promising endless hours of total relaxation. The Swim Up Suite With Sun Deck, part of a sextet of suites with access to a 170 sq.m. sharing pool, is perfect for those long, summer days where you will be working on your tan under the smoldering sun. 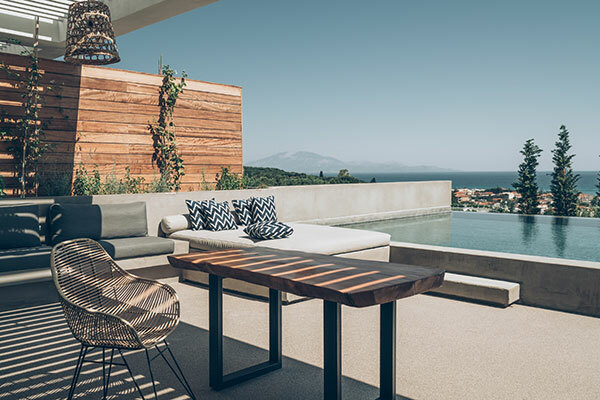 The large outdoor living space, combined with the comfort of your minimal, 38 sq.m suite, paint a zen, relaxed picture, perfectly complemented by the endless sea views of Zakynthos. The Swim Up Heated Pool Suite, part of a quartet of suites with access to a 120 sq.m. sharing heated pool, is perfect for those languorous evenings where you will be soaking into the relaxing, warm waters. 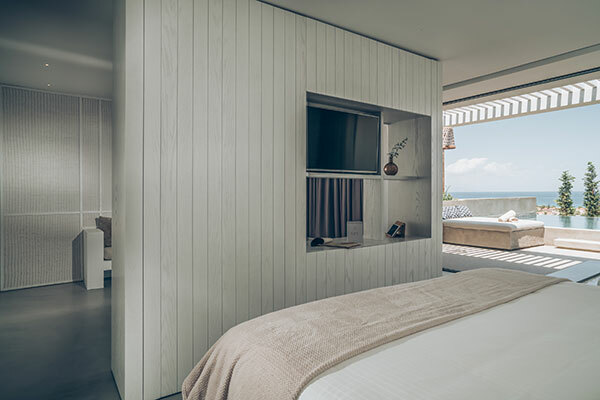 The rest of the time, you will be experiencing utter relaxation on your fluffy mattress, taking in the suite’s contemporary design and the endless sea views of Zakynthos. 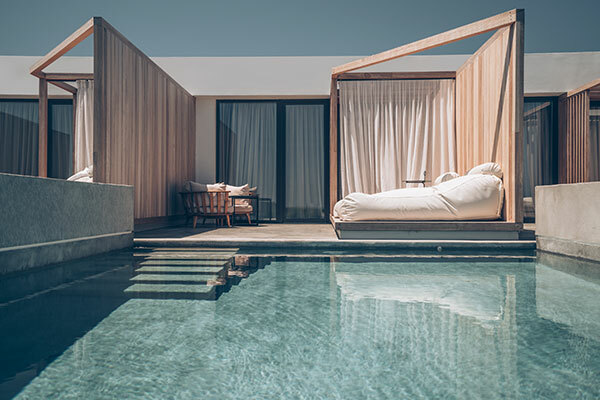 If you relish the idea of private access to calming waters, the Private Pool Suite will give you the opportunity to swim whenever the mood strikes. 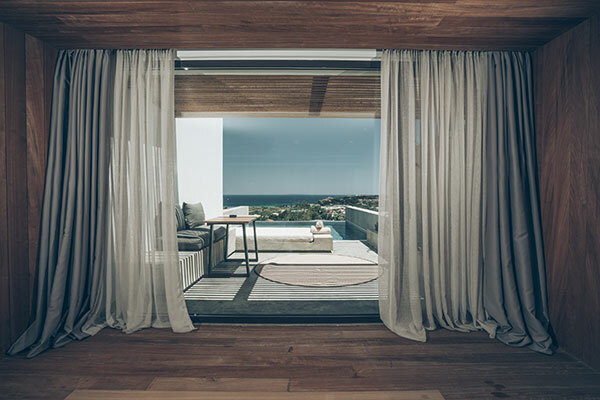 The “less is more” contemporary design approach, blends harmoniously with the endless sea views of Zakynthos. 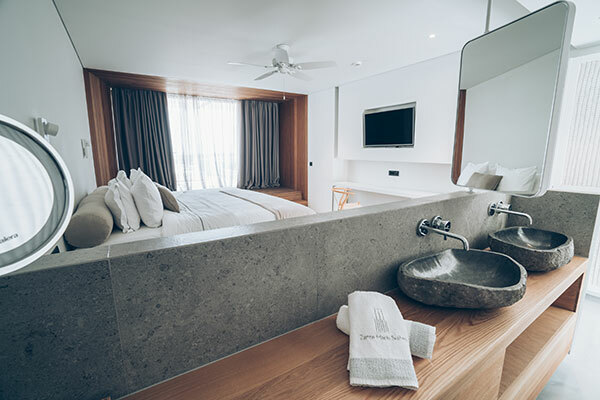 Find comfort and relaxation on your fluffy mattress and spend quality time at the outdoor terrace while contemplating your next dive at your private, 27 sq.m. pool. Our most spacious offering, the Honeymoon Suite is a great option if you need extra room to stretch and move. 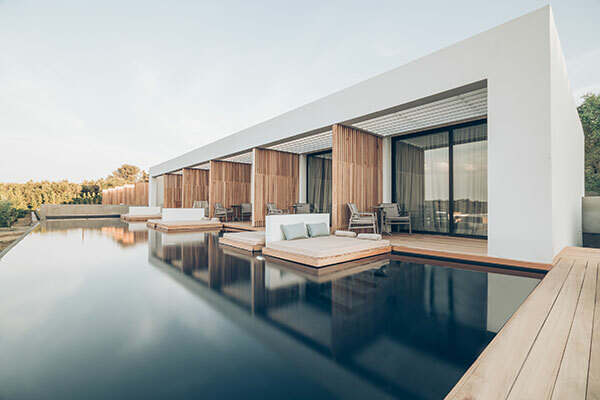 The minimal, contemporary design, blends harmoniously with the larger-than-life views to the spectacular nature of Zakynthos. 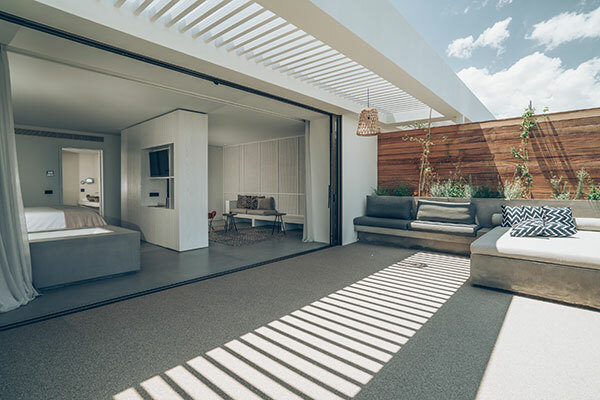 Find perfect relaxation on your fluffy mattress and spend quality time at the large, outdoor living space complete with a 50 sq.m. private pool, for you to swim whenever the mood strikes.